This book grabbed me from the opening scene, where a pregnant woman is struggling between killing herself or giving birth to her baby. The writing is so clear and straight-forward that you are drawn in. I found myself thinking about the characters whenever I wasn't reading; I was certain they were real and wanted to know what they were up to. There is a supernatural element of the portals that take Quinn from her "real" life to her other life, but they are explained very well, and it was easy to picture the fissures and Quinn's travel without feeling like you'd been displaced into a sci-fi novel. The portals are logically discussed before the end of the book, and with the focus being more on people and relationships than the paranormal, I would say this book is literary fiction more so than being classified in any sub-genre. Violet Epps is a movie critic who is sharp-tongued in writing, but timid in real life. She's struggling to break up with her boyfriend who keeps steamrolling her, talking over her, and trying to convince her that she's really in love with him. On top of that toxic relationship, Violet is battling for custody of her recently-orphaned niece, Delaney. The girl's grandparents also want to raise her, and they hired a ferocious lawyer to fight dirty. Enter Dorothy Parker, Violet's idol, the one who inspires her to be so snarky in her movie reviews. While having lunch at the Algonquin Hotel, Violet sees the famous guestbook that the authors of the Algonquin Round Table all signed. The hotel's original owner collected signatures because he wanted to capture the spirits of the authors when they passed on, but Mrs. Parker was the only one who was caught. When Violet realizes the book has come home with her, she learns more about the magic it possesses. Mrs. Parker comes to life around Violet, helping her stand her ground, and occasionally taking control over Violet's body. I read this whole book in one day and am ready to read it again. 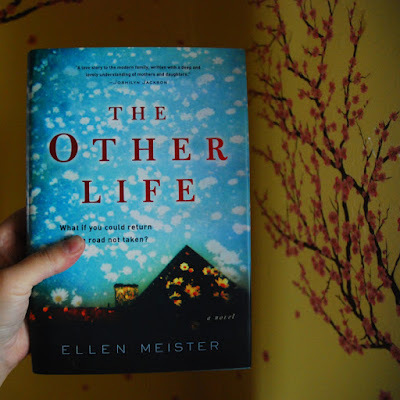 I have totally loved both of Ellen Meister's books, and look forward to reading much more from her. This book focuses on the infamous guestbook at the Algonquin Hotel again. Norah, a TV producer, is desperate to save the show she works for, or else she'll lose her job. She knows she can snag an interview with famous reclusive writer Ted Shriver, and that will grab the ratings she needs. Plus, she loves the author and has always wanted to meet him. But Norah doesn't charm him like she thought she would, but thankfully Dorothy Parker is right there to help. I love Ellen Meister’s books for the way she integrates magical realism in such a believable way. Before I read Harry Potter, I was never really one for magic or spells or anything, but Meister handles it beautifully. Her books are literary fiction, but the hint of magic is wonderful. And I say hint even though the whole book is based on the ghost of Dorothy Parker living in an autograph book. It is just presented in a very plausible way, so the story flows without the premise being “hokey”. The story is fascinating and her writing style is beautiful, so I highly recommend all of her books! these sound great. i recently discovered dorothy parker as well. actually i have recently discovered my love of books the past few years. read 38 so far since october, but mine are mostly memoirs, biographies and histories. great theme! thanks! I never knew about Dorothy Parker (shame!) until I read these, but now I'm reading her poetry and soon will try some short stories. 38 books is fantastic! I love memoirs and some biographies, but histories - wow! Those wear me out. That's a huge accomplishment!